In an exclusive interview, former BC Hydro CEO Marc Eliesen says ratepayers will face a "devastating" increase in their electricity bills if the Site C dam is built and emphasizes there is no rush to build new sources of power generation in B.C. "With Site C, BC Hydro ratepayers will be facing a devastating increase of anywhere between 30 and 40 per cent over the next three years," Eliesen told DeSmog Canada in his first interview on the subject. "There's no rush. There's no immediate need for Site C or any other alternative energy," he said. 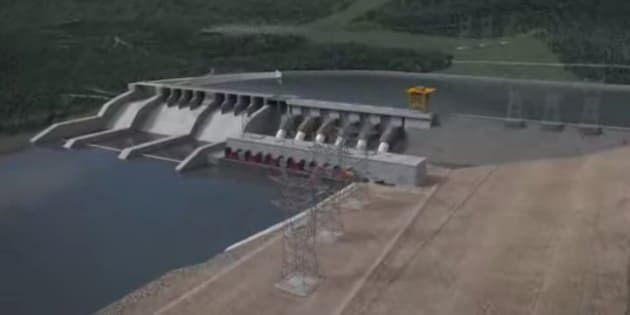 Eliesen's comment about the lack of immediate need for the power echoes statements made by Harry Swain, the chair of the panel that reviewed the Site C hydro dam for the provincial and federal governments. In March, Swain told DeSmog Canada the B.C. government should have held off on making a decision on the dam. With a price tag of $8.8 billion, the 1,100-megawatt Site C dam is the most expensive public project in B.C. history. The hydro dam, which would impact 13,000 hectares of agricultural land, has been proposed for the Peace River for three decades. In late 2014, the provincial and federal governments approved the project and this July construction permits were issued despite pending court challenges by First Nations. Eliesen, an economist by training, has also served as chairman and CEO of Ontario Hydro, chairman of Manitoba Hydro and has held senior roles with the federal government and the governments of Ontario and Manitoba. In November, Eliesen called the National Energy Board's review process for the Kinder Morgan Trans Mountain pipeline "fraudulent" and a "public deception" as he dropped out of the process. Eliesen said there is no rush to build new generating capacity in B.C., leaving "more than sufficient time to evaluate alternatives" that are more cost effective and minimize environmental impacts. The alternatives include everything from geothermal to BC Hydro's Burrard Thermal plant -- due to be decommissioned in 2016 -- to the 1,100 megawatts of electricity B.C. has access to through the Columbia River Treaty, Eliesen said. Not considering using the Columbia River power to meet B.C. 's needs is "non-sensical," Eliesen said. "If there is a demand for the power, well you clearly have an available supply, which you can depend on," he said. "If there was some massive escalation in demand that you needed immediately, well my goodness, you've got two instant sources: there's 1,100 megawatts from the Columbia River and almost another 1,000 from the Burrard Thermal Plant, which was converted from coal to natural gas some time ago." Eliesen also critiqued BC Hydro for adopting a price structure that results in everyday British Columbians subsidizing heavy power users. "Whether it's mining or proposed LNG plants or anything of that nature... They're all subsidized by other hydro ratepayers. Those heavy power users do not pay the true cost," Eliesen said. "They are not paying their fair share." The B.C. Utilities Commission used to review the cost of service, but that doesn't take place any more, Eliesen said. "The provincial government basically declared we don't want the commission -- we don't want anyone -- looking at BC Hydro plans. I think the result has been quite devastating." The B.C. government exempted the Site C dam from a review by the B.C. Utilities Commission, despite calls from its own expert panel to refer the project for an independent review of costs and need. The province's failure to consider the panel's recommendations has since become the basis for the Peace Valley Landowners Association court challenge against the Site C dam. Eliesen noted other jurisdictions are conducting much more thorough analyses of hydro projects, noting two projects in Manitoba he recently advised on. "They went through the most detailed evaluation by the Manitoba Public Utilities Board that ever could have taken place," Eliesen said. "The kind of analysis and investigation and due diligence that was taken has never taken place recently in British Columbia." In 1993, when Eliesen was the president and CEO of BC Hydro, he issued a public statement on behalf of the board stating that Site C would never be built because of its significant negative environmental, economic and social impacts. That position quietly went by the wayside when the Gordon Campbell government was elected, Eliesen said, noting that electricity costs have increased at a far quicker rates than other jurisdictions since then. Over the years, Eliesen has seen the cost of the Site C dam nearly double. "I've seen the costs of Site C escalate enormously," he says. "It used to be $5, $6 billion, then it was $7.9, now it's $8.8 billion. It'll easily reach, if it's ever built, in the $11 to $12 billion dollar range." Eliesen says the costs of Site C haven't been adequately reviewed and there are "too many conflicting interests in BC Hydro for it to undertake its own due diligence on this matter." On July 23, the B.C. Government and Service Employees' Union announced its opposition to the Site C dam due to its violation of indigenous rights and the massive loss of habitat and agricultural lands. Despite the growing calls for a moratorium, the B.C. government appears hell-bent on pushing ahead with building the dam. Asked why the government continues to push ahead, Eliesen said it doesn't make any sense. "Well I can't talk for the government, so I don't know, other than they want some major project undertaken during their current election term," he said. "It doesn't make sense in the context of environment, it doesn't make sense in the context of wanting to work with First Nations and it doesn't make sense, more specifically, on the economic impact because the B.C. ratepayer will pay enormously over the next three years."